Naked's first fully certified organic winemaker! Born and bred in the Upper Hunter Valley, Ash worked in local vineyards while helping to establish his Family Vineyard. Ashley is one of the most passionate people we have ever met. When asked what he loved most about his job, his answer was "Everything! I love the action during vintage and the progression of grapes becoming a bottle to enjoy. I love the diversity and the abstract thinking you can put into creating a wine product. I also love the diversity of the people that work in the industry and how winemaking makes me feel complete in my life". What's the difference between Ash and the rest? His grapes are from organic vineyards and are made using fully certified organic practices! Ben Gould is a winemaker from WA with over 20 vintages under his belt. He started out picking grapes and has done every level of job there is. Named in the Gourmet Traveller WINE magazine in the best of the best for 2011, and Gourmet Traveller class of 2011 Top Ten. Max Allen went on to review as "... a swag of wines that blew me away". His wines are sourced from both his own certified organic and biodynamic vineyards, plus other conventional vineyards across Western Australia. 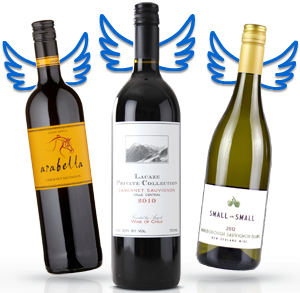 Ben managed to fund his family’s most recent vineyard purchase in the Margaret River region with help from his own direct customers, plus Angel assistance and collective orders from Naked Wines. Experienced beyond his years, Steve flies the NSW flag high! Steve's passion and varied experience have led him to focus on new century wine styles that speak uniquely of his gorgeous home terroir in and around Orange, NSW. The complex possibilities of Chardonnay and the brooding just-another-sip qualities of Merlot have been the premier wines for Steve's portfolio at Naked. He is championing incredible cool climate wines; the styles currently taking NSW by storm! Steve's day job is part of an award-winning team, rolling and climbing between barrels for one of the region’s most recognisable brands. His exclusive boutique Made by Mobbs label is for Angels only! Producing premium wine from Denmark in southern W.A. 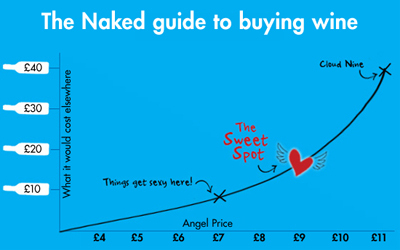 Naked funding will allow Paul’s expertise to be enjoyed by more than a few hundred people - before he became Naked, Paul created miniscule amounts of wine (in some cases as little as 40 dozen for one wine). Previously working for big wineries like Houghtons and Goundreys, in 2009 Paul turned his attention to creating his own, highly boutique wines from the oldest vineyard and cellar door in Denmark (WA). His first year as a go-it-alone winemaker saw his winery listed as a James Halliday Top 10 best new winery and Dark Horse winery. Paul was a man with experience, talent, and absolutely no money for grapes. Now thanks to you he has the support he needs… which means you’re in for a treat! HINT: Click the PLAY tab on the left to see Paul introduce himself! In 2015, we put the power in your hands to vote for the first ever Angel chosen winemaker. It took just 4 hours and 16 minutes for Angels to give Kym Carr the thumbs up. Kym's story was one of incredible talent, utter heartbreak and unwavering determination... As a young winemaker, Kym had a winemaking world at her feet. She was winemaking for award-winning wineries Vasse Felix and Deep Woods Estate, leading to a nomination for young winemaker of the year in 2006. A few years later, Kym's life was monumentally changed by the passing of her younger sister. Her sister's final wish was that she carry on with life, making the most of each day by working towards her passion. Now a mother of two, Kym reached out to Naked as she still harboured dreams of jumping back into the wine game to create her own boutique label, packed with unique wines that are happily just a little far left of field for the big wineries. Dan Binet & John Colvin . Two heads are better than one, and when life long passion (John) meets life long winemaking skill (Dan), the result is unimaginably unique and tasty wine that sings like the hidden hills it came from! 95% of wine in Australia is machine harvested. Not at Montvalley! Every single drop is hand-pruned and hand-picked, so there is little wonder the vineyard upholds it's reputation for delivering the most pure Hunter Valley fruit to the winery every year. Whether it be their elegant Chardonnay, flavour-packed Shiraz or classic Semillon, filling your glass with Montvalley wine is an experience truly exclusive to Naked. Drift away to your happy place with John and Dan's gorgeous wine, grown in a hidden slice of Hunter Valley heaven.